Full service bike shop located "on the plaza" in downtown Ludington. 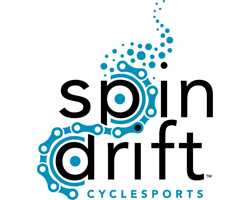 Spindrift Cyclesports sells, repairs and rents bikes of all types for all ages. They also sell bikes parts, accessories and clothing related to cycling. Be sure to check out their coffee bar for freshly brewed coffee, lattes, tea and more. Note: Some map locations are approximate. Please call the venue at 231.425.4999 for exact directions.